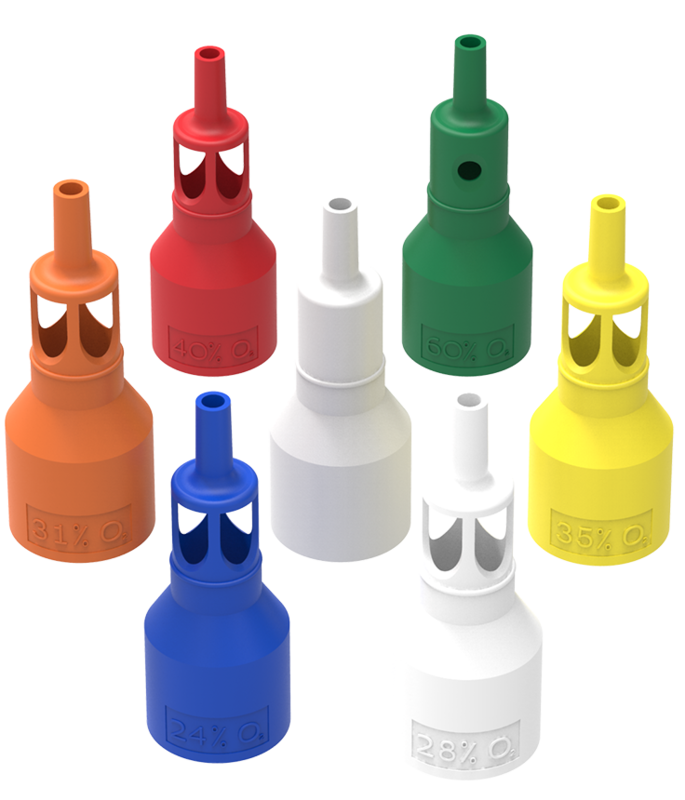 Venturi, or High Air Flow Oxygen Enrichment (HAFOE), masks incorporate a Venturi Barrel and use the Bernoulli Principle to provide a predetermined and fixed concentration of oxygen. 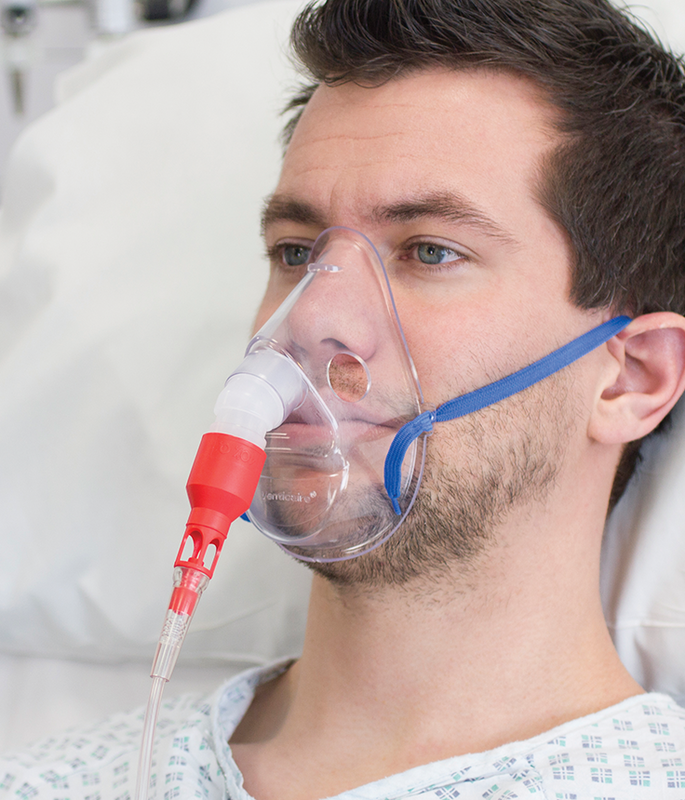 Delivering a gas flow higher than the peak inspiratory flow rate means the oxygen concentration is unaffected by the patient’s respiratory patternVenturi, or High Air Flow Oxygen Enrichment (HAFOE), masks incorporate a Venturi Barrel and use the Bernoulli Principle to provide a predetermined and fixed concentration of oxygen. Delivering a gas flow higher than the peak inspiratory flow rate means the oxygen concentration is unaffected by the patient’s respiratory pattern. Flexicare’s range of soft, comfortable Adult and Paediatric Venturi masks are supplied with an attached Venturi Barrel covering the complete range of oxygen concentrations from 24% to 60%. 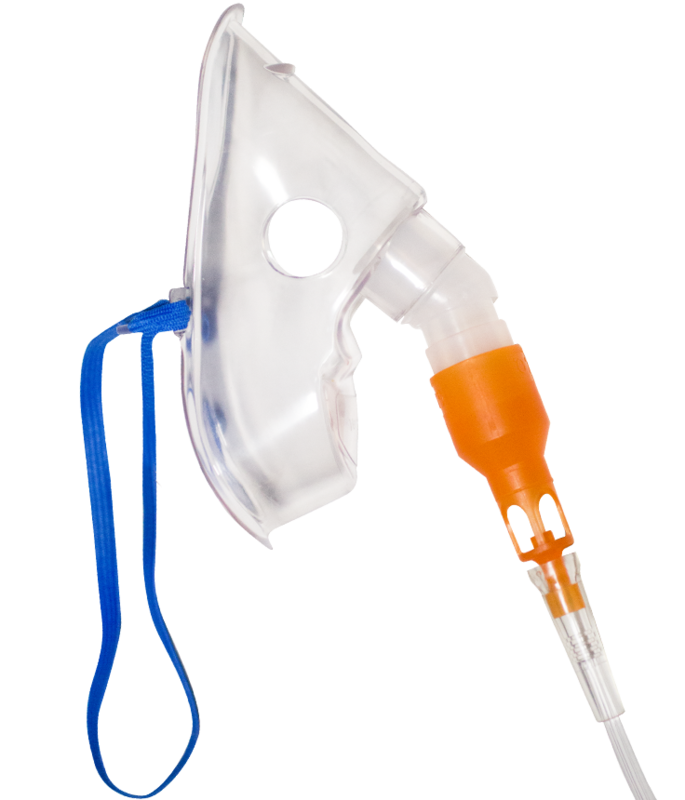 In addition to the mask and barrel, there are also the options of including oxygen tubing, a reservoir tube, or both oxygen tubing and a reservoir tube in a convenient single pack. The masks are colourless and transparent for clear visualisation of the patient’s condition. The knitted latex free headband, broad soft feathered rim and angled swivel oxygen inlet maximise patient comfort and compliance with the therapy. For increased patient safety, the inclusion of a plastic nosebridge avoids the needs for a metal clip, and the recessed position of the headband on the Paediatric mask reduces risk of eye contact.